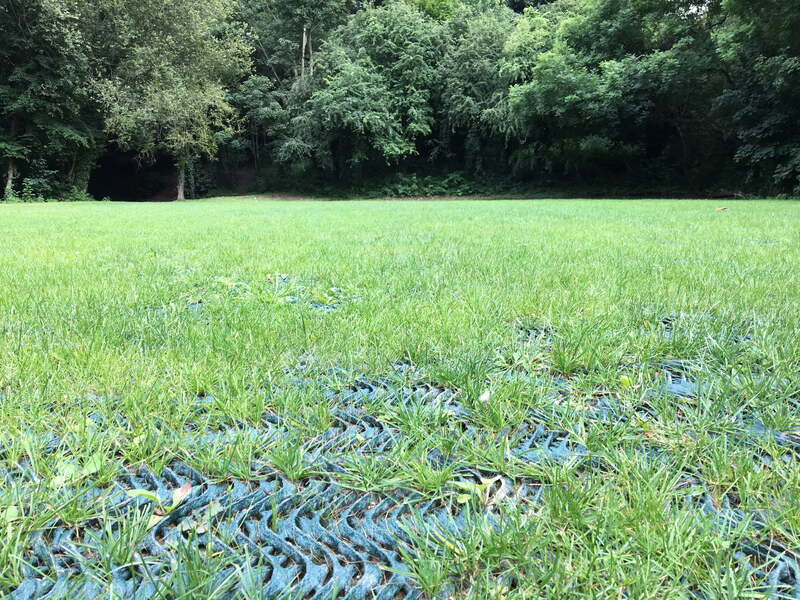 Grass Guardian is a thick plastic mesh designed to protect and reinforce the grass in high-use areas. The oscillated structure allows grass to grow through the mesh and also provides slip resistance. Allows you to keep your existing grass surfacing! Helps to prevent rutting, smearing and wear. 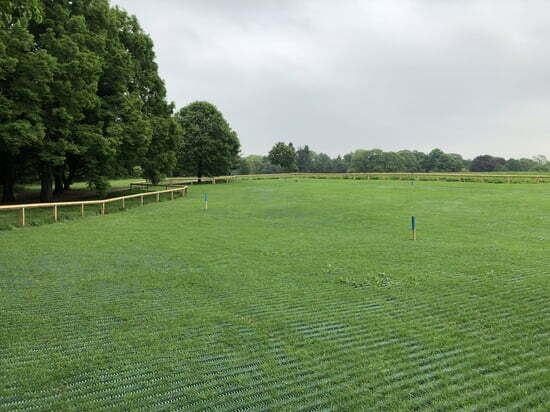 No geotextile or landscape fabric needed for grass installations. Just install directly on top! Can be used on a slope/hill with additional pins to secure it down. Need to mow? No problem! Just make sure the mower is set 1 1/2 - 2" above the mesh/grass. Complies with ASTM D1621 Standard Test Method for Compressive Properties of Rigid Cellular Plastics. Ships LTL - Freight calculated separately.